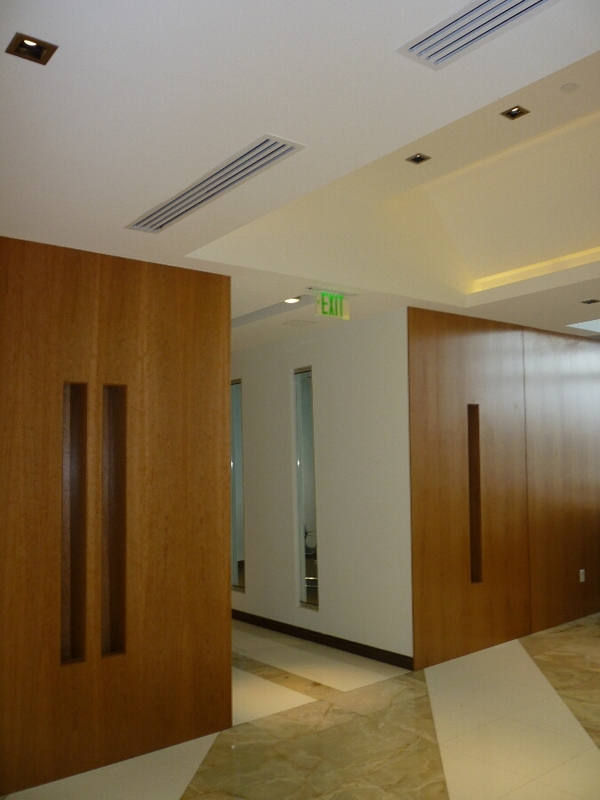 Seamless, exotic cherry wood panels were implemented at main entry way. 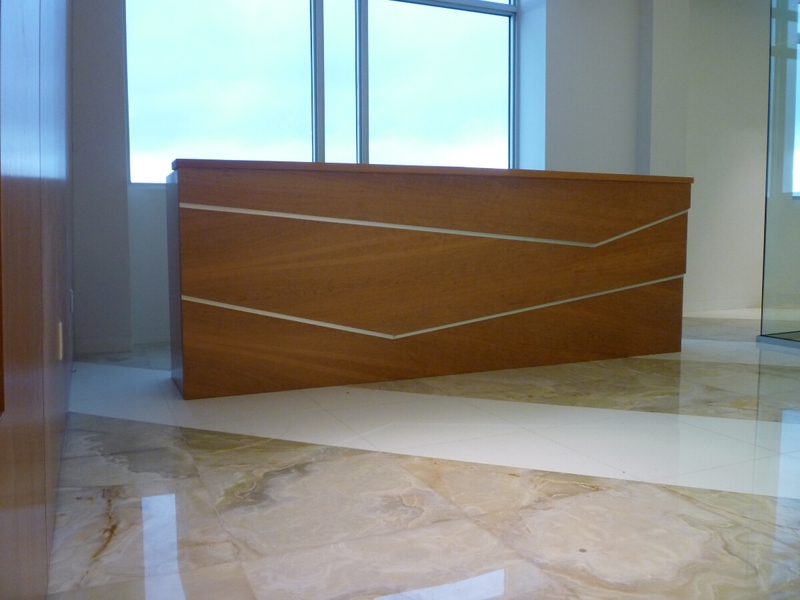 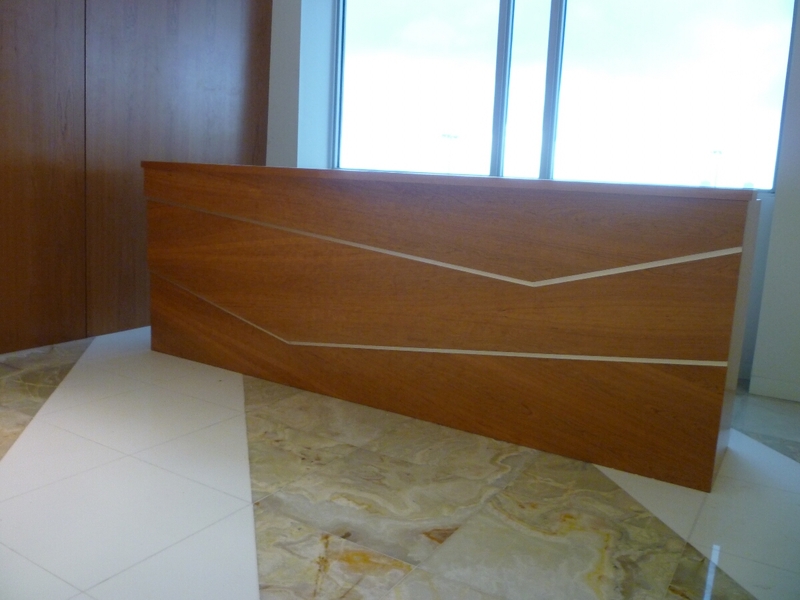 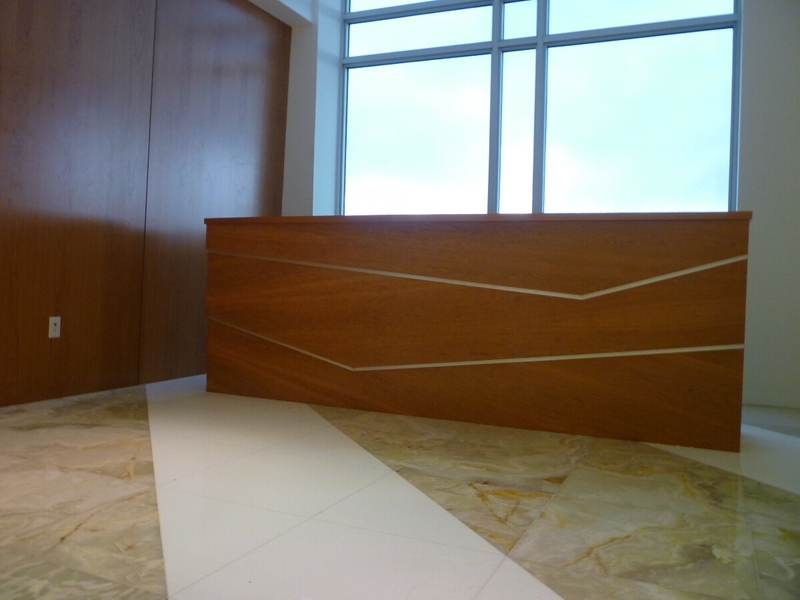 This exotic cherry wood extended to a stand-alone reception desk by using geometric details as part of the design. 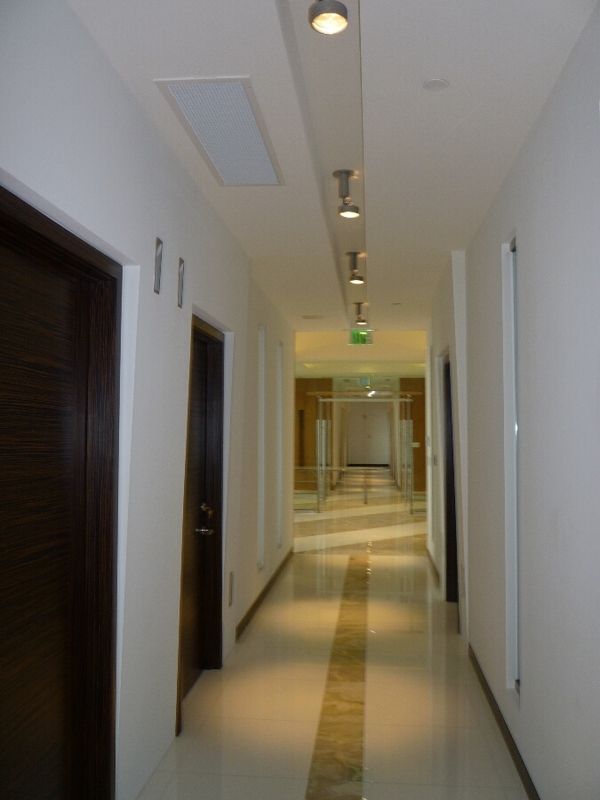 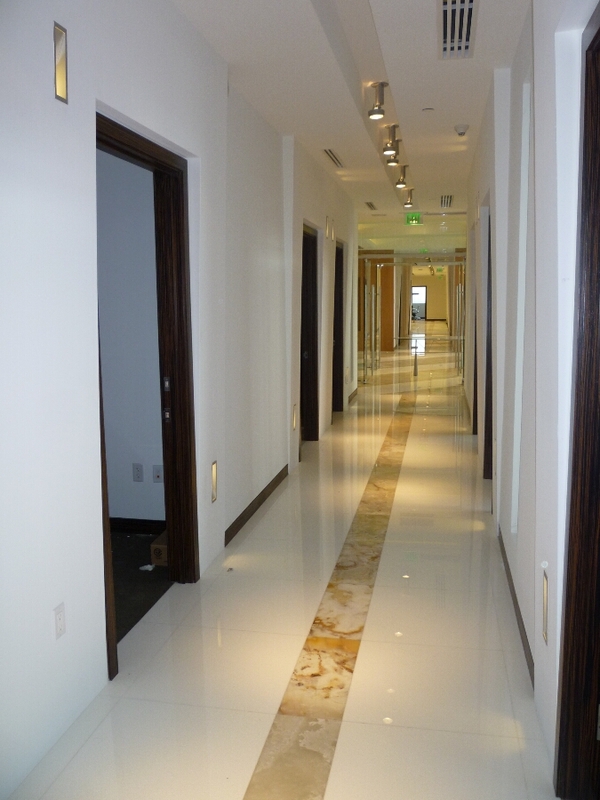 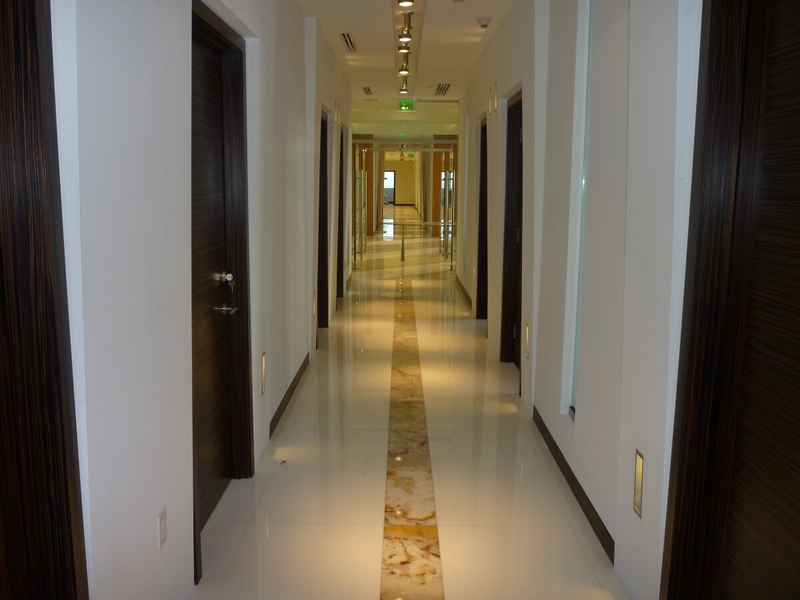 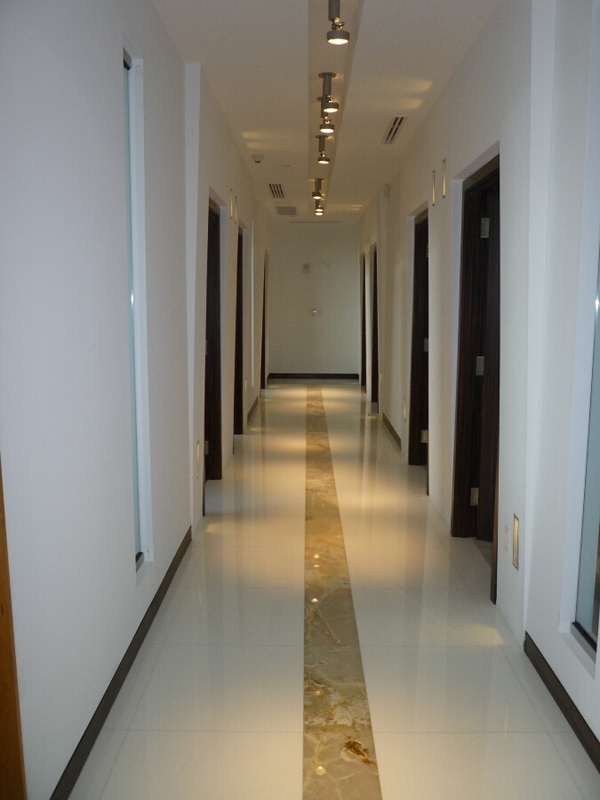 Details in the ceiling is reflected in the floor design by using onyx as the detail traveling along the hallway. 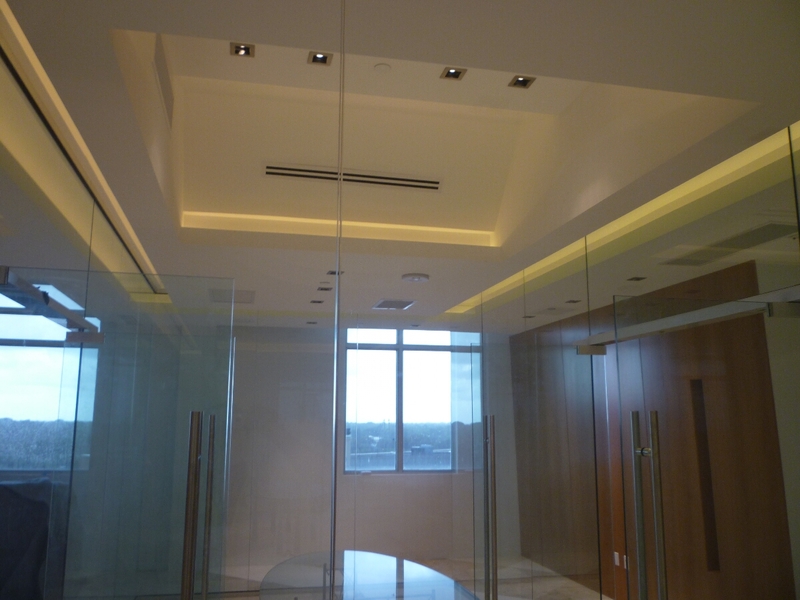 As a surprise, we engineered, designed and implemented a conference room completely of glass which gives the appearance as if the conference room is floating. 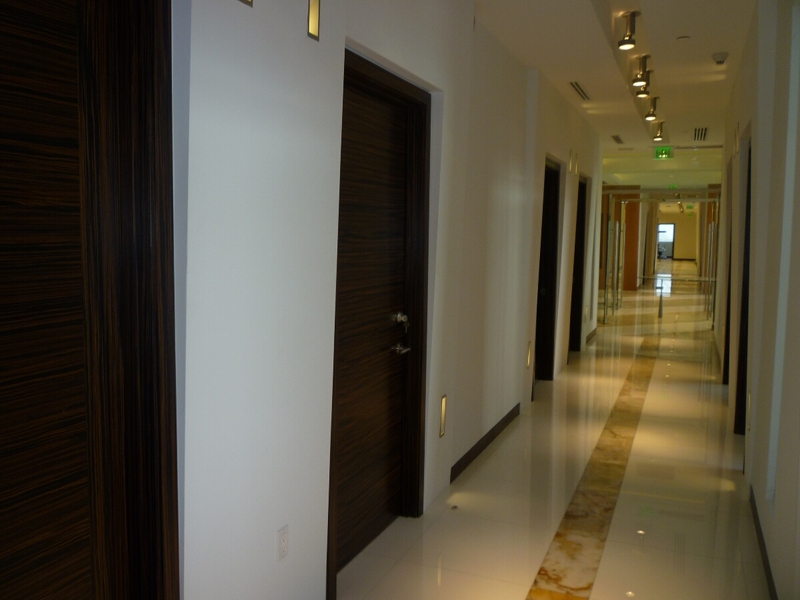 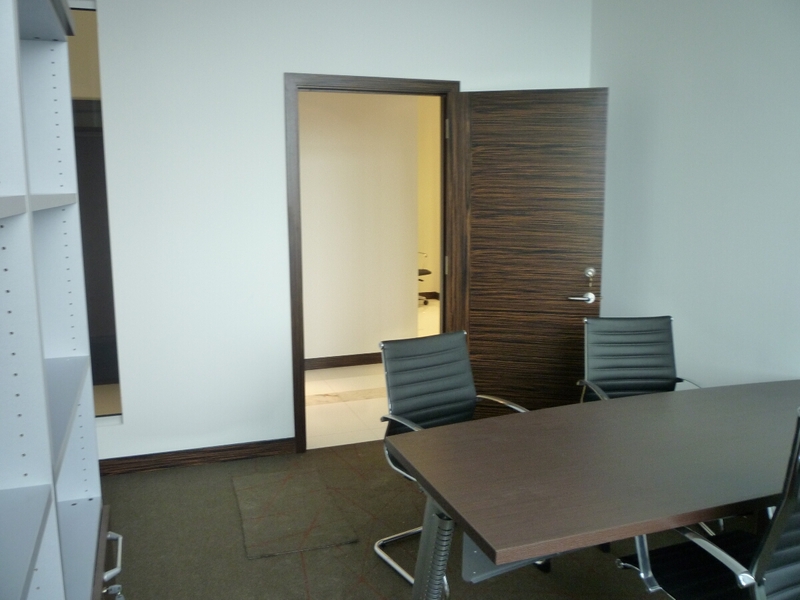 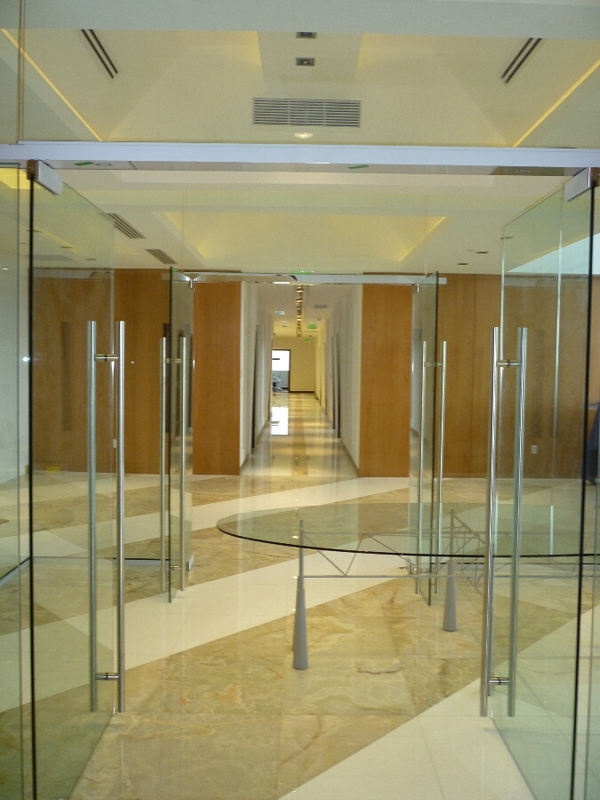 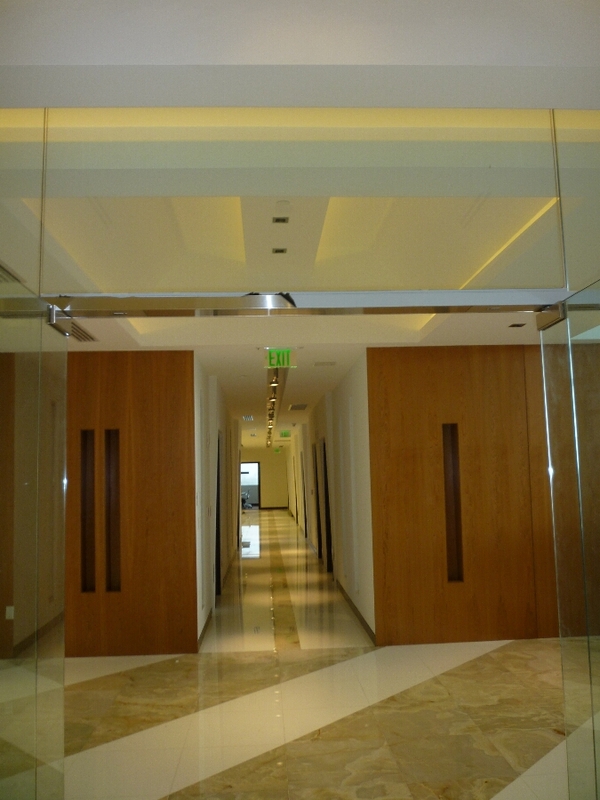 Offices were fitted out with a consistent interchange of natural material, such as ebony, for the entrance doors and glazed wall panels of glass were also implemented on each of the walls. 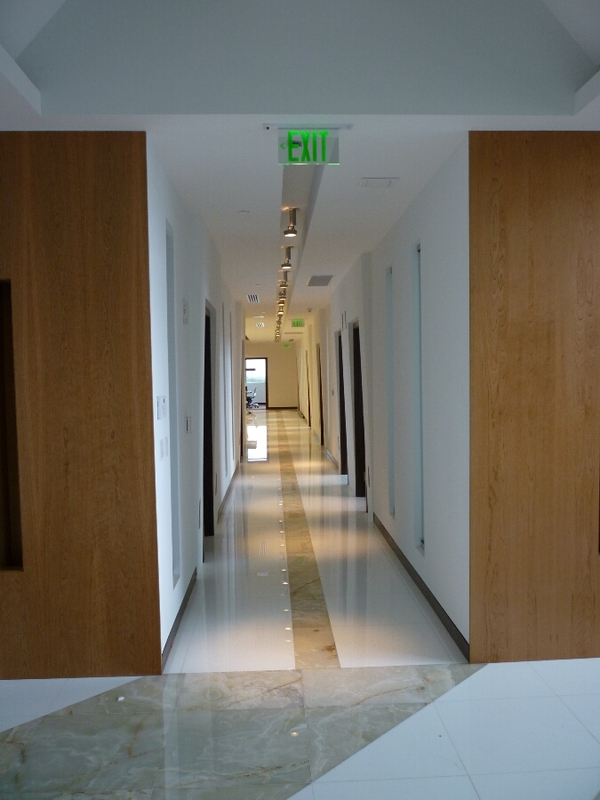 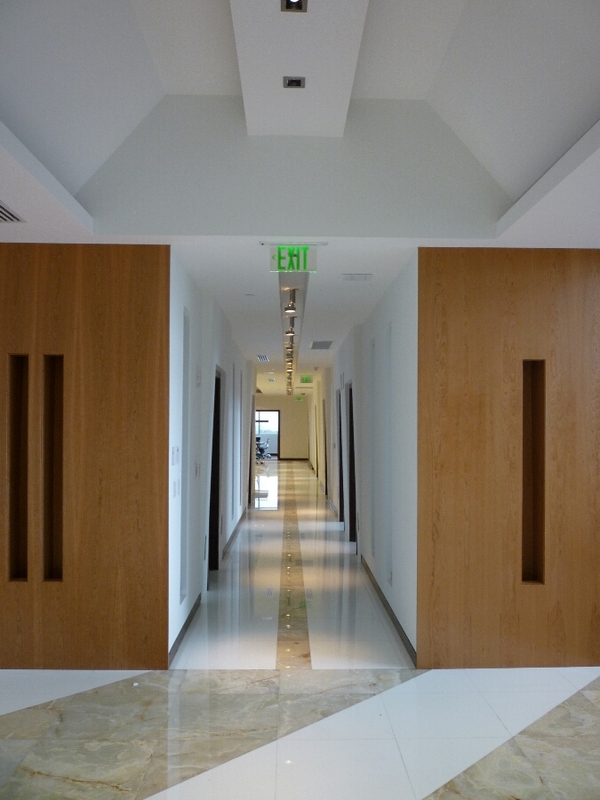 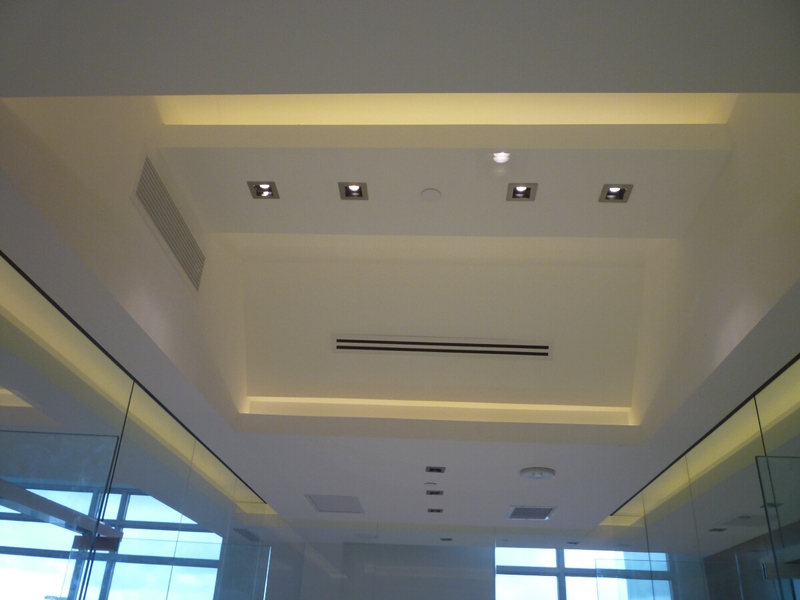 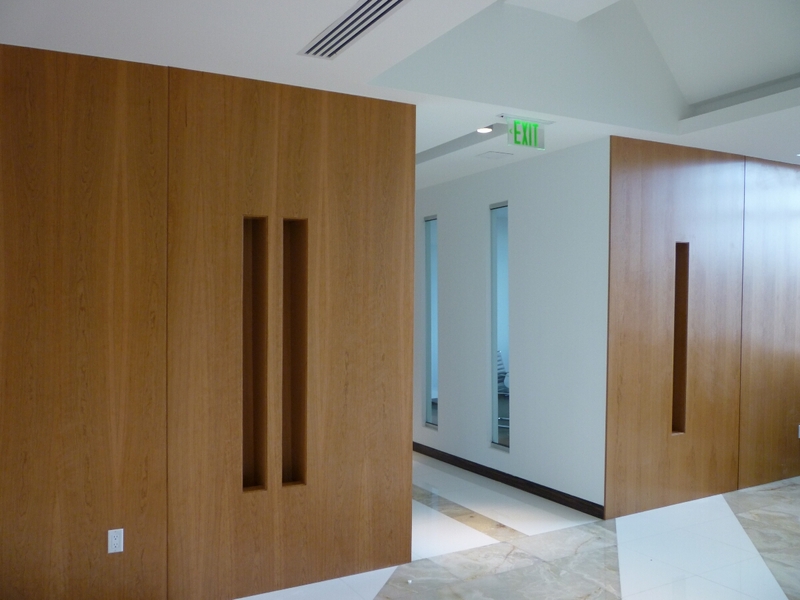 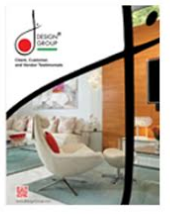 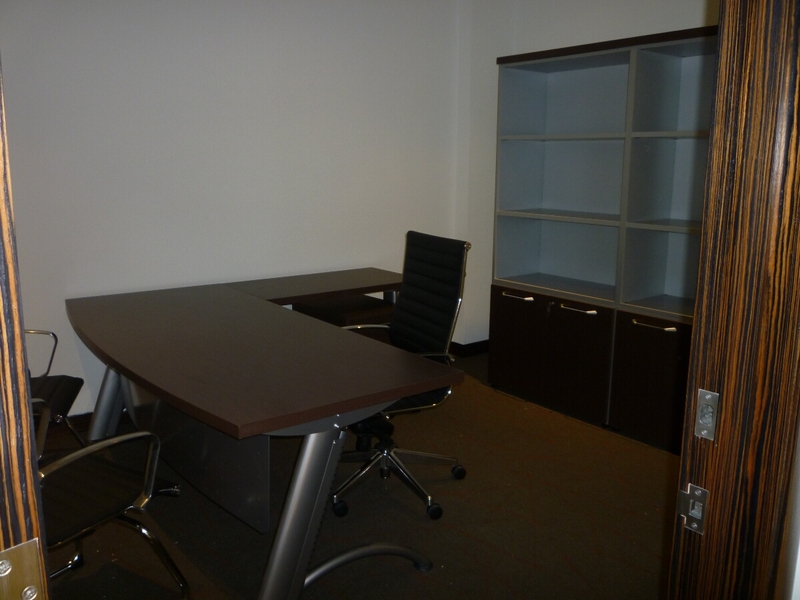 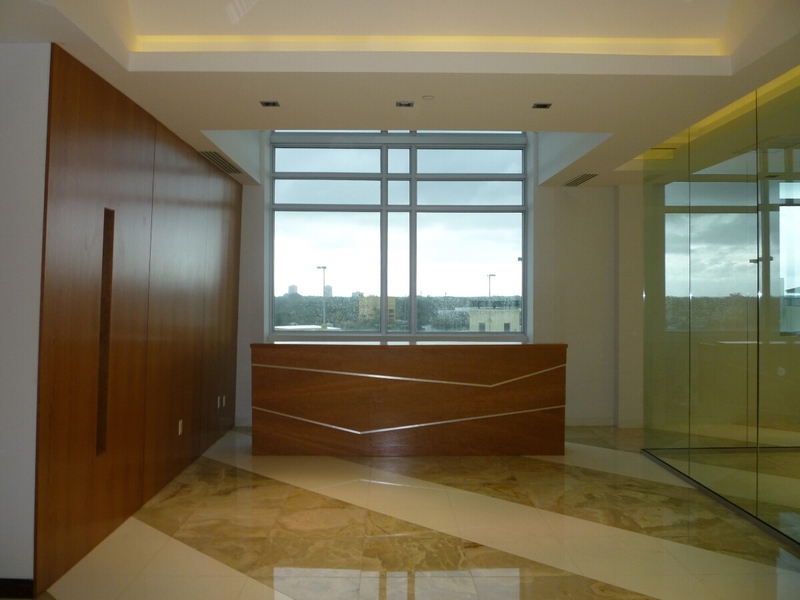 A modern, sleek, state-of-the-art design was created for this law firm in Coral Gables, FL. 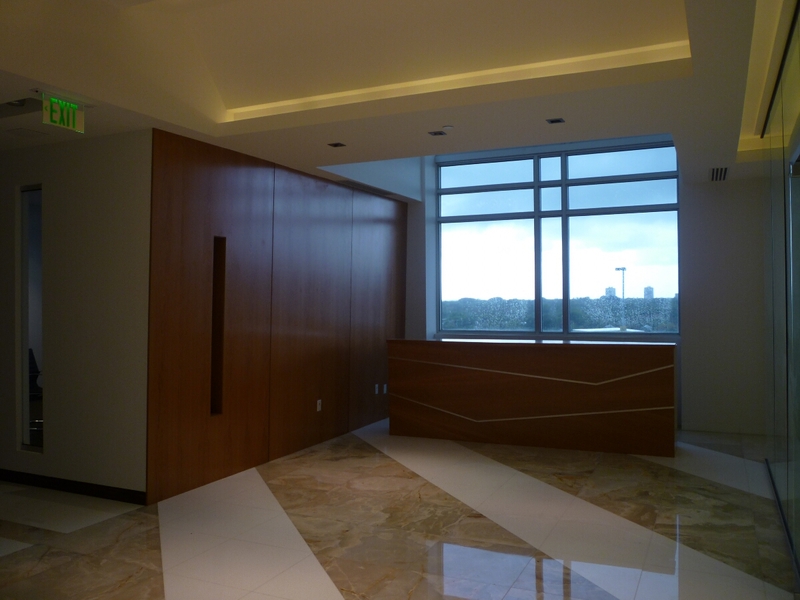 Four suites were combined to create this exceptional masterpiece.